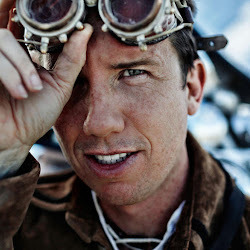 Clunie Photography: Video : Trey Ratcliff Google Talks 1 & 2! Video : Trey Ratcliff Google Talks 1 & 2! Trey Ratcliff of Stuck in Customs is a famous Google+ celeb and awesome HDR Landscape photographer, and was invited to speak at Google not once but twice! You can usually find him on his various hangouts on Google+ where he and some of his other photog friends discuss various topics concerning modern photography and various other subjects, they're very entertaining to watch and listen to. He's one of my more recent people I look to for inspiration and the two discussions below are great for any photographer hobby/professional to listen in on as he describes his process and what inspires him.